Dr. A.P.J. Abdul Kalam was the 11th President of India, serving from 2002 to 2007. Known as the Missile Man of India, Kalam played a crucial role in the 1998 Pokhran-II nuclear tests. Dr Kalam died due to a heart attack while delivering a lecture at the Indian Institute of Management (IIM) in Shillong on July 27, 2015. 1. APJ Kalam was born on October 15, 1931, into a poor family. His father had only one boat to support his family. 2. Kalam was a hardworking boy right from the beginning. At the tender age of five, he started selling newspapers to help his father support the family. He did this job in the evenings after school. He also spent a great deal of time on his studies. 3. Kalam was fascinated by physics and mathematics. 4. Kalam completed his graduation from Saint Joseph’s College, Trichurapally in 1954. In 1955, he enrolled at the Madras Institute of Technology. 5. Kalam missed an opportunity to become a fighter pilot for the Indian Air force. He was on the ninth spot on the list, and there were only eight openings. The first eight shortlisted candidates were recruited. 6. 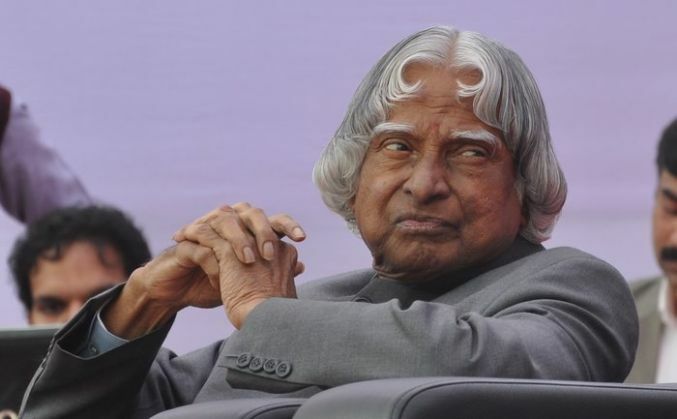 In 1960, Kalam became involved with DRDO’s Aeronautical Development Establishment. 7. In 1969, Kalam was made the project director for Satellite Launch Vehicles and was shifted to ISRO. The project became successful, and India, under the directorship of Kalam, was able to launch the Rohini satellite series into Earth’s orbit. 8. Kalam was known as the ‘Missile Man’ of India due to his continued, successful work with ballistic missiles and launch vehicle technology. 9.Kalam became the President of the largest democracy of the world –India – on July 25, 2002. He was known as “the People’s President” because of his simple and down-to-earth attitude.